“The Karver” is a multi-time Aussie National Champ and World Cup winner and has been part of the Intense family for nearly 20 years. 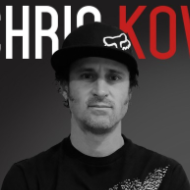 Since the early days when he was an up-and-coming young Aussie living in the Stebers’ guestroom, to the years of success on the World stage (when he set the record for widest gap between 1st and 2nd place at Fort William (over 14 seconds), to his current role as a coach and mentor with Kovarik Racing, Chris has personified the brand in every stage of his long career. He is truly Intense for Life. Claire is a World Championship Bronze Medalist, multiple Canadian National Champion, 12- time Canadian National Team Member and has been to all corners of the globe racing, riding and adventuring on her bike. But that’s not what makes Claire an invaluable member of our Family. 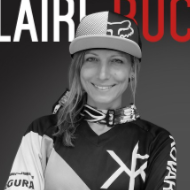 Aside from her Together with Chris Kovarik, Claire has helped build future generations of mtb enthusiasts and racers by coaching and mentoring young kids in the sport. 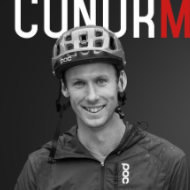 Conor made a global name for himself at the 2016 Redbull Rampage and was awarded the Kelly McGarry Spirit Award. 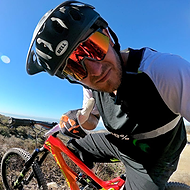 Based in Queenstown New Zealand, Conor rides a mix of big mountain trail adventures to smashing out DH runs at the Skyline bike park. When your job and passion is everything two wheels, you keep sending it. Just about any given day of the week, you can find KTM’s Mike Sleeter putting in laps aboard a wide range of test bikes, as he works in the R&D department of the Austrian brand’s motocross line. Sleeter retired from professional racing back in 2009, but never got off the bike… literally. He and the rest of the R&D department are constantly working on and testing bikes, whether it be on the track or in the shop, and the “work” continued at the 2017 Red Bull Straight Rhythm. Now, testing and R&D with Intense Cycles, USA.